Apple iPhone without its accessories is meaningless. If you own any of the iPhones 5C, 5S, 4 and 4S, you need to have many accessories to make it look good and operational. Buyers can get bare accessories like charger, etc. 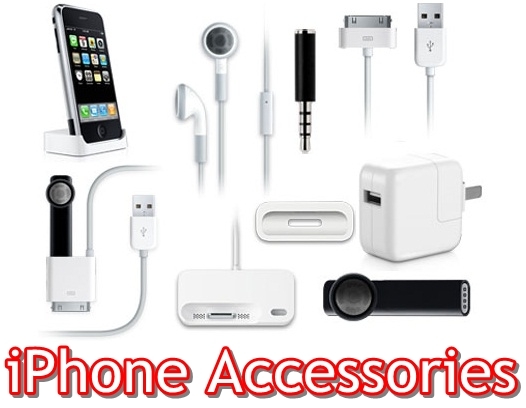 when they purchase iPhones initially, other accessories like iPhone Case, iSeeU, iPhone Charge Cable, adapters (Apple USB power adapter or lightning to USB and 30 pin adapter, digital AV and VGA adapter), Earpods, In-Ear headphones (equipped with mic and remote) are required to be bought additionally. These accessories are expensive and most of the time, they are not uniformly designed for all the models. Hence, you need to use your judgment before buying a specific accessory. Buying them online can definitely fetch you those accessories at a much lesser cost. Before you buy an accessory, analyze its requirements, cost and other factors. iPhone case, screen protector, stereo headsets, USB cable, power adapters are definitely few of the accessories which are required for its daily usage. iPhones are expensive; hence, you cannot avoid accessories like phone case and screen protectors. You may postpone buying other accessories based on the particular requirements. After deciding what to purchase, do a proper research on which eCommerce websites will be useful to buy these accessories. There are multiple stores available. Apart from Apple store, you may visit trustworthy sites like Amazon, Bestbuy, Ebay, etc. The easiest way to find the product is to mention the iPhone model and the accessory name in search engines like Google and it will then display the products and the ecommerce site. You may filter with the price or the most popular accessories while buying. Read the product information carefully and go through the customer reviews before buying. Add the products in the card and make the payment through secured gateway. Do you travel a lot? If yes, then World Travel Adapter kit is must have accessory for your phone. This world adapter is compatible with Apple iPad first, second and third generations iPad and iPhone 4. If you have lost your OEM Adapter for iPhone/iPad then you can order one such via Amazon.com. This 5W USB adapter is manufactured by Apple and it’s original OEM products. It’s compatible with Apple iPhone 3G, 3GS, 4, 4S, iPad Mini, iPod Touch and iPod.